When it comes to educational funding, you have options. You don’t have to let tuition fees deter you from pursuing your goals or living your dreams. Each year, Embry-Riddle Worldwide students receive more than $30 million in financial aid. You can become one of these students by making the decision to work with our financial counselors. Together, we will work with you to create a financial plan unique to your needs. 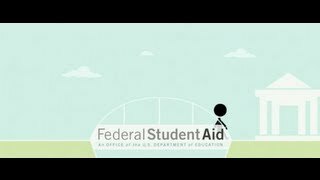 Federal and State Grants – These grants are available to U.S. citizens or permanent residents who are enrolled at least half-time in a degree program. To remain eligible, you must make satisfactory academic progress and not be in default or owe a return repayment on a grant or loan. Visit the Grants page to see if you qualify. Institutional and Private Scholarships – Like grants, scholarships do not have to be paid back. Visit the Scholarships page to learn more about the available types and whether you qualify for them. Federal and Private Student Loans – A variety of federal and alternative loan options exist to students who meet diverse qualifications including degree of study, past accomplishments, financial status and other such criteria. Learn more about Loans. State Programs – Each state offers its own range of scholarship and grant programs that you may qualify for through residency and meeting the outlined criteria. Check with your state to see what programs are available to you. See which types of Scholarships, Grants or Loans you may qualify for. To begin estimating your costs, use the net price calculator. The financial aid code of conduct is one way that Embry-Riddle Worldwide ensures professional conduct.